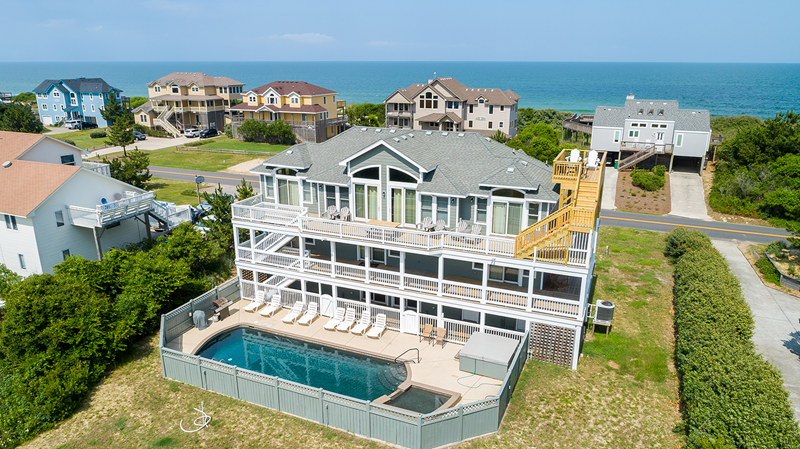 We've categorized our vacation rental homes based on location. There is one main road that runs up and down the Outer Banks and that is NC Rt-12. This road has become the way we categorize our homes in relation to the closest body of water - the Sound or the Ocean. On the east side of the road, this is considered the Oceanside. 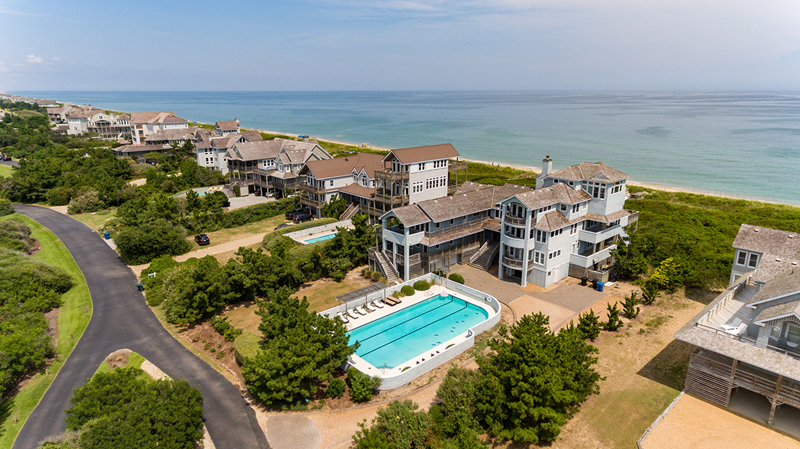 This includes all of our Oceanfront, 2nd-tier Oceanfront, Semi-Oceanfront, and Oceanside homes. The west side of the road is referred to as the Soundside and encompasses our Soundfront, Soundside, Westside, and Canal front homes. 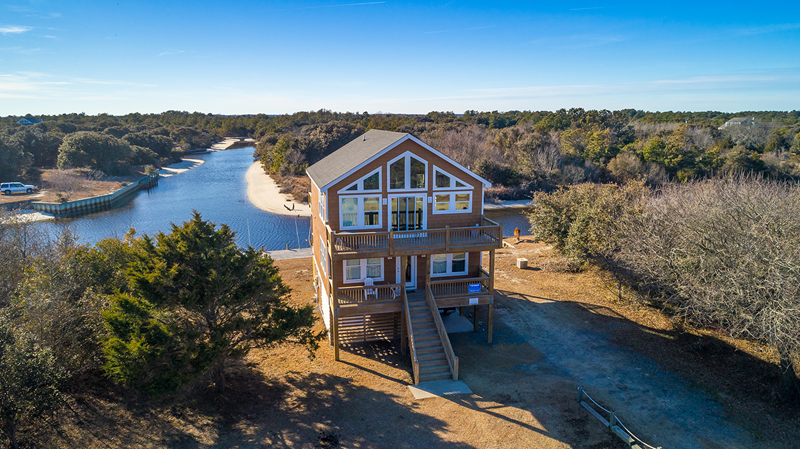 Oceanfront means there is no other property or lot between the home and the beach. 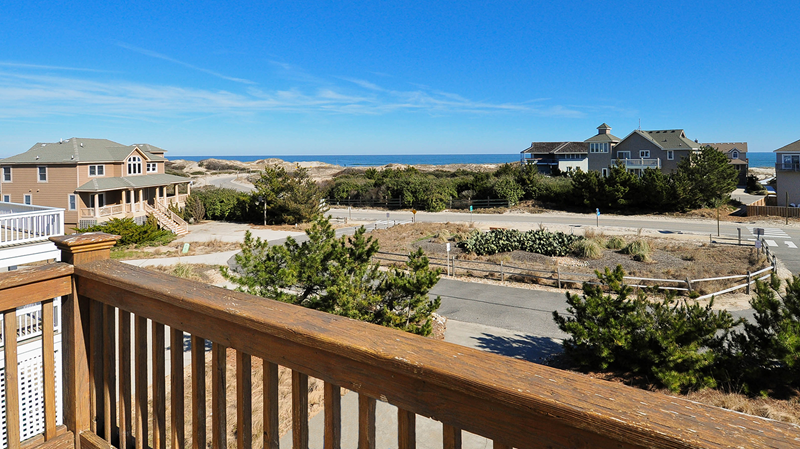 Expect gorgeous ocean views, although keep in mind the sand dunes may obscure parts of it. There may or may not be a direct beach access depending on the home. 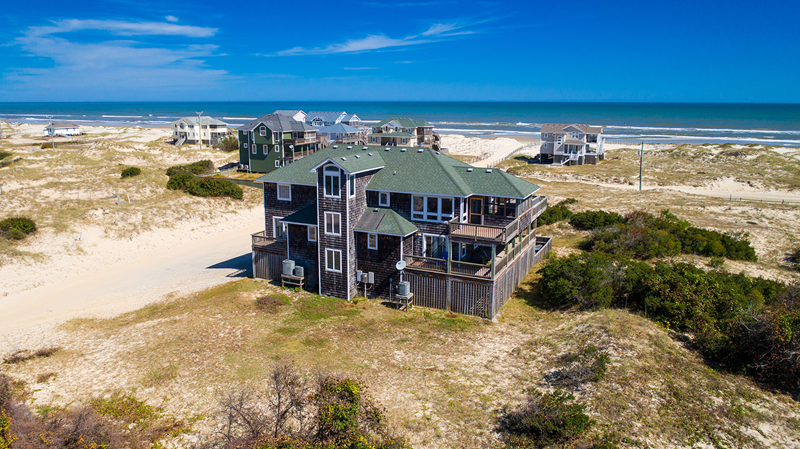 For homes without a private walk way, there may be a community beach access close by. Although considered oceanfront, 2nd-tier oceanfront lots are shaped like the ivory keys on a piano with the narrow end facing the ocean. Views to the side may be obscured by another home. 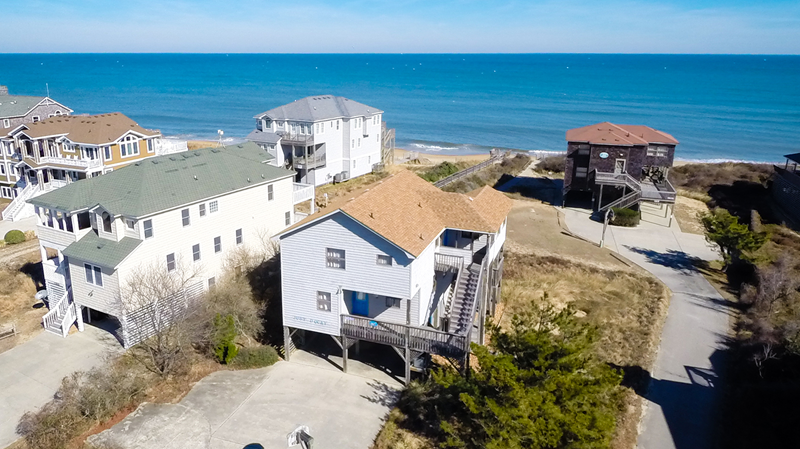 Semi-Oceanfront homes are located one lot from the beach. 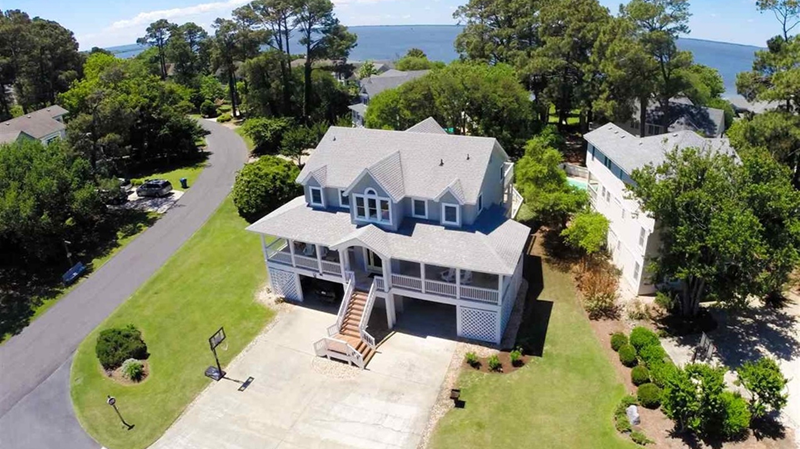 There may be some ocean views with a street between the home and the beach. There may or may not be direct beach access depending on the home. Oceanside homes are locaed on the East side of NC 12, which means there is no major road to cross when walking to the beach, only the neighborhood streets or walking paths. Distance to the beach varies from less than 500 feet to more than 1000 feet. Soundfront vacation homes are located directly on the sound. 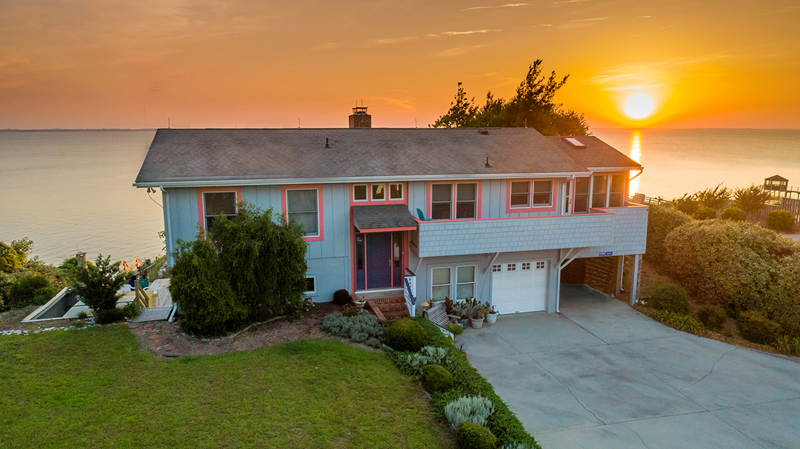 There may or may not be direct access to the sound, but expect to enjoy the peaceful tranquility of the Sound and breathtaking sunsets the OBX is famous for. Located West of NC 12, Soundside homes may or may not have direct access to the Sound. There may be partial Sound views depending on the home. Some communities offer community soundside amenities. Check individual home listings for more information. 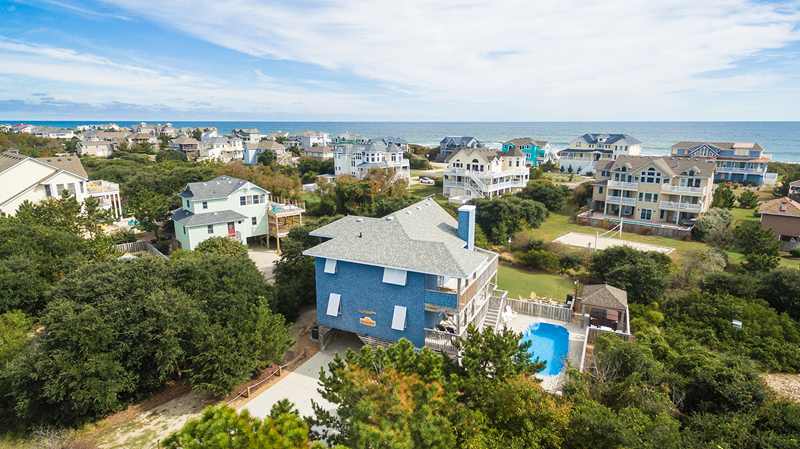 Our Westside homes are also located West of NC 12, but only three or four lots from the beach. The main difference betwen Westside and Oceanside for Twiddy properties is that you would need to cross Rt-12 to get to the beach. These homes directly front a canal that connects to the sound. A majority of our canal front homes are located on the 4x4 beaches, so a 4-wheel drive vehicle is required. Canals are typically very calm making them perfect for paddleboarding or kayaking. These homes are located off of the paved road, north of Corolla proper. A four-wheel drive vehicle is required. Visit our 4x4 Beach Driving page for more information.